Chet wanted to have some lucky person win this copy of the Amateur Radio Handbook, but he wanted it to go to someone new to the hobby. So we held a drawing for only hams who have recently been licensed. The lucky winner was Jim, seen here with Chet. 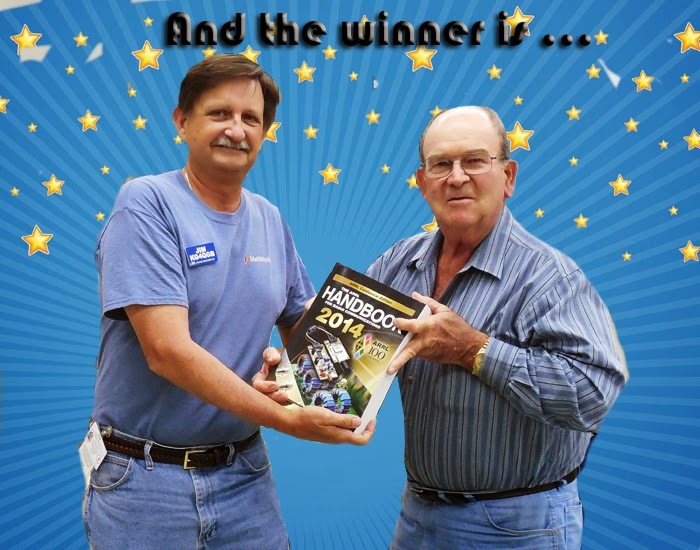 Congratulations Jim, and thank you Chet for donating this handbook.